AWARD-winning Scottish seafood restaurant, Mussel Inn, has introduced a mouth-watering Christmas menu. Offering diners two courses for £16.95 or three courses for £21.95, Mussel Inn’s Christmas menu features starters of: creamy seafood chowder; breaded goats cheese on dressed mixed leaves with a caper and bell pepper relish and tempura tiger prawns served with sweet chilli jam and crème fraiche. Festive main dishes include: char-grilled sea bass fillet on leek and bacon croquettes with diced vegetables and a smoked cheese sauce; a seafood platter of queen scallops, Scottish salmon, coley, tiger prawns and mussels (all poached in a rich seafood bisque topped with chive crème fraiche) and grilled smoked chicken with melted mozzarella on penne pasta, cooked in a roasted red pepper and basil sauce. Meanwhile, Mussel Inn’s delicious Christmas desserts are: chocolate and almond torte with orange flavoured crème fraiche topped with a honey and cinnamon wafer; warm sticky date pudding served with toffee sauce and vanilla ice cream and Affogato, coffee, ice cream and a liqueur. Mussel Inn’s Christmas menu is available from 1st to 23rd December and for lunch on 24th December. The restaurant will close on the evening of Christmas Eve, re-open on 28th December and remain open till 31st December before closing on 1st and 2nd January 2012. 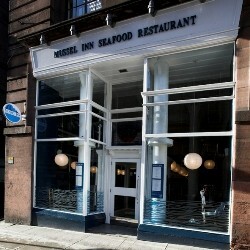 Located at 61-65 Rose Street, Edinburgh and 157 Hope Street, Glasgow, the award-winning Mussel Inn is renowned for its passion for its offering of delicious locally sourced fresh seafood, providing excellent value for money and a quick and friendly service. 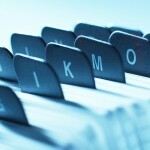 To book a table call 0131 225 5979 or 0141 572 1405 or log onto www.mussel-inn.com for more information.